When it comes to Stainless Steel Water Storage, the BESTANK Classic Series Stainless Steel Water Storage Tank is the top of mind of many top architects and engineers. Built with AISI Stainless Steel Grade 304 material, skillfully crafted by well-trained craftsmen, designed with over 30 years of industry leadership experience. We are the by word when it comes to reliable and durable stainless steel water storage tanks. The BESTANK Signature Series Stainless Steel Water Storage Tank variant comes with complete stainless steel accessories, including a stainless steel float valve and stainless steel stand. The BESTANK Signature Series is available is all major home depots nationwide. With over 30 years of experience in the water storage industry, BESTANK Manufacturing Corporation continues to find better and more efficient solutions for the industry’s changing demands. BESTANK revolutionizes the way you think about water storage with the MODULAR WATER STORAGE SOLUTIONS—a multi-panel system that can be assembled to any width, length or capacity to fit almost any imaginable space and volume required for your project. Built with AISI Stainless Steel Grade 304, you are assured of the same tested quality that the BESTANK brand is known for. The Bestank Water Storage Solution may be delivered on site completely built-up or we also build on site for large scale projects. From 50,000 liters up to more than 1 million liters. Built with AISI Stainless Steel Grade 304. The BESTANK Classic Series Polyethylene Water Storage Tank is the best solution for hard water conditions, even installation near highly corrosive seawater is possible. Made of 100% pure polyethylene, you are assured of quality and reliability garnered from over 30 years of industry leadership. With its unique unibody construction, the Bestank Polyethylene Water Storage Tank is resistant to corrosion, cracks or warping. 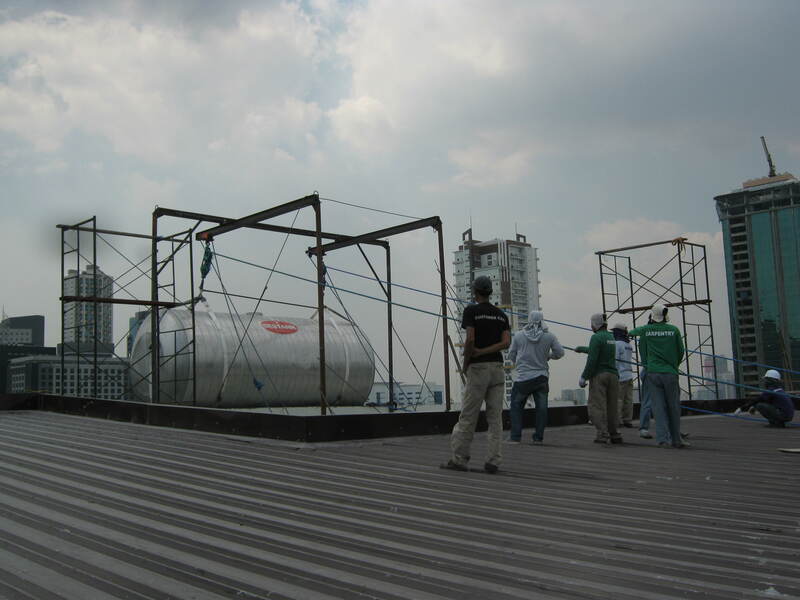 But what sets the Bestank Polyethylene Water Storage Tank apart from the rest of the market is its versatility, you can use it for overhead installations, ground installations and even below ground installations to convert it into a cistern. Available from 300 liters up to 10,000 liters capacities in both vertical and horizontal orientations, there is a Bestank Polyethylene Water Storage Tank for every possible need. The Stone Series Polyethylene Water Storage Tank mimics the appearance of granite, terra cotta, or sandstone, thereby blending in with landscaped surroundings. Another first in the market from Bestank. Tank lifting services are also provided. Contact us to discuss your requirements.